ACCEPT - STAYING A LIFE RED VINYL (2LP) | Online Shop | Wizard LTD. 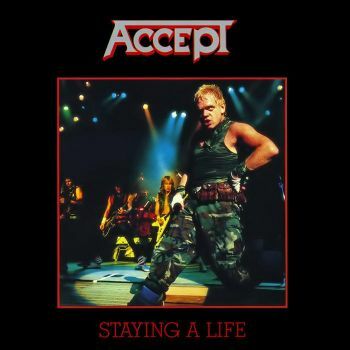 Album: "STAYING A LIFE RED VINYL (2LP)"
"Staying a Life" is a double live album by Accept, released in 1990. It was recorded in Osaka, Japan, in 1985. It was released in 1990, shortly after the band&apos;s first breakup. All the great hits are here, the dual-guitar line up is in full force and Udo sounds as good as Udo ever did. The production is typical of the 80&apos;s metal albums also released in the period such as "Priest Live" but manages to be a bit more exciting than most of those "for the money" excursions that usually ended up sounding like studio records with crowd sound. Accept are simply too heavy, too bloodthirsty and too passionate for such things to hold them back.